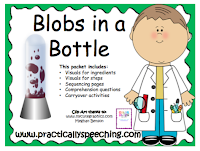 I'm loving science experiments in speech lately! It's a great way to target a bunch of goals and keep the kids engaged! 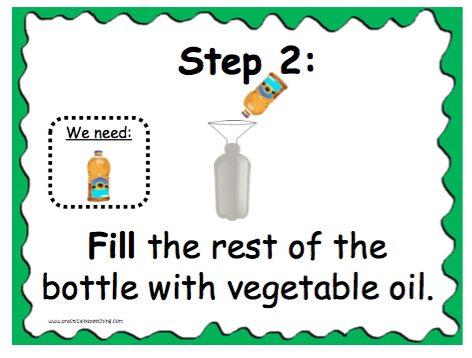 To make a "blob" in a bottle, you don't need much and you can work on turn-taking since there are a a few steps! I like to start out by introducing the vocabulary word "observe" and talking about how we will be observers today. 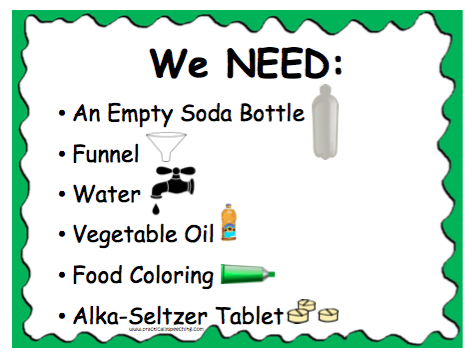 I then have students make sure we have all the ingredients using the visuals included. 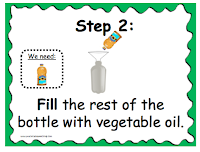 A lot of time I will assign students to that ingredient to link the ingredient to the step of the experiment. 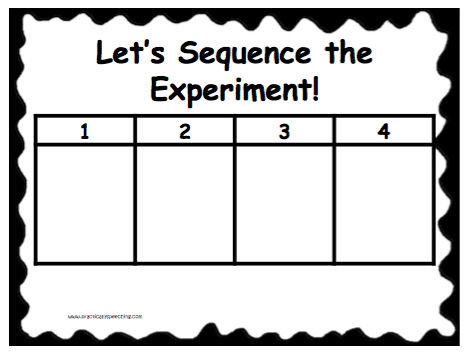 sequencing both during and after the experiment. 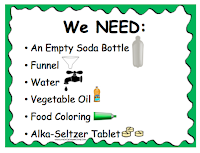 There are manipulatives included so you can have students glue rather than write/draw if you so choose. 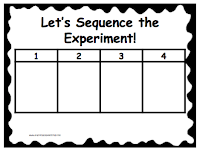 When the experiment is done, have students sequence the steps you took to complete the experiment with the sequencing page! 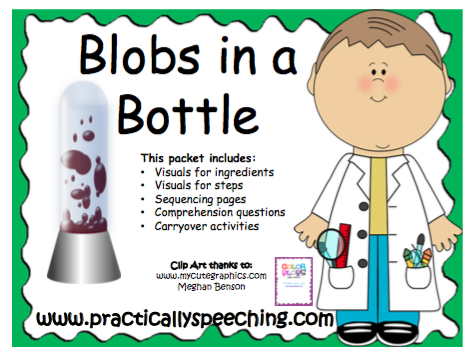 Check out this packet HERE for more of what's included and so you can start making your "blob" in a bottle!